Mistake #1 – You don’t get pre-approved for a loan before looking at homes. Buyers need to know they will qualify for a loan before going out with an agent to look at houses. This saves both you and your agent time and lets you know how much home you can afford. 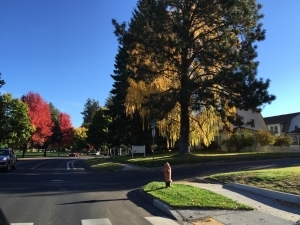 Central Oregon real estate, Bend in particular, is highly sought after so buyers need to consult a loan officer who can review income and credit and determine their home buying budget. And this way you can submit a buyer’s loan pre-approval along with your solid offer and be more confident it may get accepted. Mistake #2 – You don’t factor in all the costs of owning a home. The mortgage payment is what most people focus on when buying Central Oregon real estate, yet there are plenty of other costs you need to factor in. Property taxes will be several thousand dollars per year; homeowners insurance; maintenance costs; repairs; higher utility bills; and possibly landscaping, pool service, house cleaner and more. Make sure you budget for all these expenses too. Mistake #3 – You’re being too picky. If you are looking for the “perfect” house, it doesn’t exist. Some Central Oregon real estate may have the perfect kitchen but the guest bath is too small. Or have the exact number and size of bedrooms you want but not a big enough yard. It’s rare that one house has all the things you’re looking for. Pick the best house that meets most your criteria within your budget – you can always remodel and make it your own later. Mistake #4 – You don’t act quickly enough when the right house comes along. When you find the right house (or close to – see mistake #3) don’t wait too long to think it over, especially in a sought after market like Bend, Oregon. If a house looks good to you, other buyers will think so too. When you see something that works, be ready to make an offer or you may become a long-term home buyer with no home. Mistake #5 – Not choosing an agent who enjoys working with buyers. Be sure to choose an agent who is willing to spend extra time with you and someone who likes working with first time home buyers if that’s your case. Interview a few agents and choose someone you’re comfortable with and can best serve your needs. You may be spending long days with this person and it’s important you get along, that they know the area well, and are patient to show you several homes. Kindred Real Estate’s approach to finding the perfect home for buyers provides you with a distinct advantage over anyone else. Let us help you avoid these 5 common mistakes when purchasing Central Oregon real estate. If you would like assistance in any of these areas, please contact us at (541) 410 – 8373 or email welcome@kindrednw.com.